Seasonal Affective Disorder? 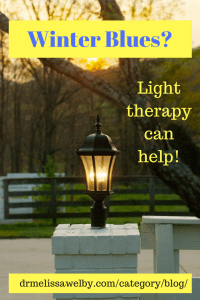 Light therapy can help! Seasonal Affective Disorder typically occurs in the fall and winter with a remission in spring and summer. People with Seasonal Affective Disorder have symptoms of depression that follow a seasonal pattern. The depression can be significantly impairing even if it doesn’t last all year long. Light therapy can be very helpful. There are various options for different lights for Seasonal Affective Disorder treatment. About 5% of the US population experiences Seasonal Affective Disorder with symptoms that last approximately 40% of the year. It is more common in females than males (4:1) and often happens in women of childbearing age. If you are struggling with seasonal affective disorder lights may help! excessive eating resulting in weight gain. Lights for Seasonal Affective Disorder can be as helpful as an antidepressant! 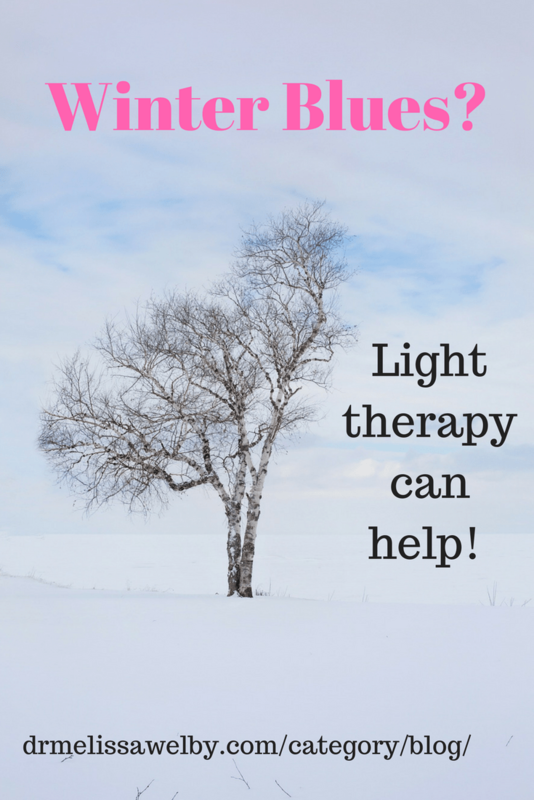 Light therapy has been shown to be an effective for Seasonal Affective Disorder treatment. It can be as helpful as an antidepressant or cognitive behavioral therapy. 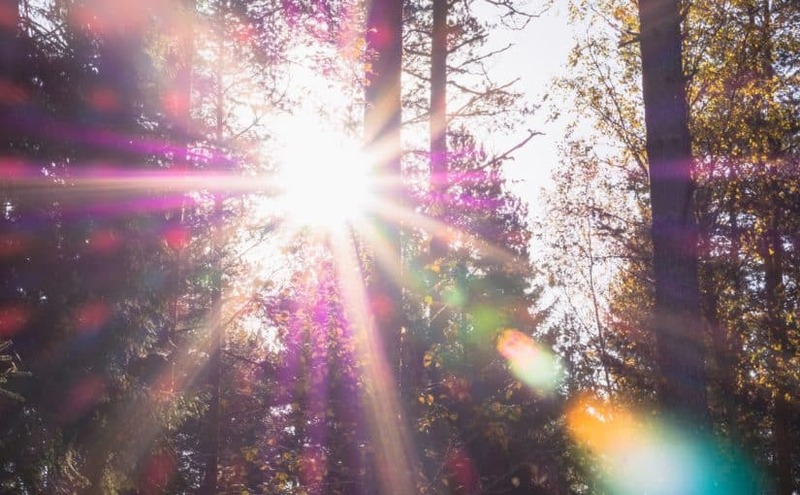 Generally, it takes 1-3 weeks of daily exposure to light to have improvement in symptoms. Because of this, it is best to start treatment at least 2 weeks prior to the time of year you typically experience symptoms of seasonal depression. 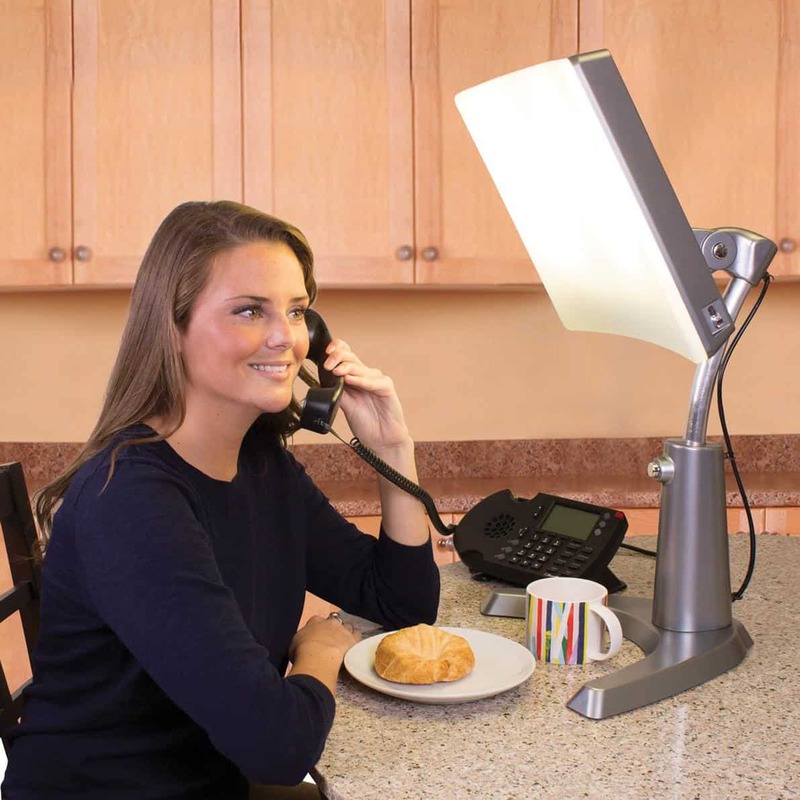 There are many different options for light therapy products including light visors, standard light boxes, and dawn simulators. Your choice of a lamp will be based on where you want to use it (home or office) and convenience factors (can you sit still for treatment?). Some of the lights are rather large but that can be advantageous. With smaller lights, you will have to take more care to keep your eyes in the therapeutic range of the light as small head movements can affect this. What are the recommended features? The light should provide 10,000 lux units of illumination at a comfortable sitting distance. Make sure it is UV-filtered as UV rays are harmful to the eyes. Look for a light with white light (shown to be more effective) rather than a colored light. There is no therapeutic advantage shown to “full spectrum” or bluish lamps. Dawn simulators are used while you are sleeping. They turn on automatically during the final period of sleep and simulate the light of springtime dawn. This light has been shown to affect the body’s biological clock, suppress melatonin secretion, and to have an antidepressant effect. Because it’s administered during sleep it is a convenient treatment option to try. 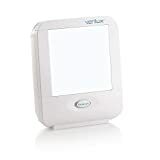 The light intensity is around 300 lux so is much dimmer than a standard light box. Although there is less research on dawn stimulators, results have shown an increased ease of awakening, more alertness and energy, and an antidepressant effect. If you are unable to sit still for even 15 minutes then getting a light visor may be the only option for you to get treatment. This visor will allow you to get in your treatment time while still cooking breakfast or chasing a toddler around. 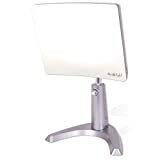 If you are using a light box sit 12-18 inches away from the light source but face it. Use it for 20-60 minutes each day. You don’t need to look directly at the light. You can read, eat, use a laptop or a cell phone. Different people benefit from using light at different times of the day. Take this quiz to determine your circadian rhythm type. This will tell you the optimal time of day for you to use light therapy. Side effects are usually minor, infrequent, and stop after a few days. To minimize side effects start with 10-15 minutes and gradually work up to 30-60 minutes depending on how much time you need for treatment effect. Sleep disturbances are generally related to the timing of light exposure. Some people do not tolerate exposure at night and do best with morning exposure. Eye irritability or strain. This may be alleviated by sitting a little further back or using a humidifier. Hypomania or mania can happen in bipolar patients so care must be taken in using light therapy if you have this disorder. 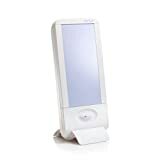 Certain medications can cause light sensitivity and a lightbox should not be used if you are on these medications. Ask your doctor if you are on a medication that may cause sensitivity. For further discussion of the risks of light therapy click here. 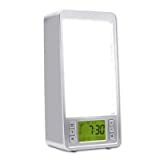 How long to continue using a seasonal affective disorder lamp? To avoid a relapse of depression, seasonal affective disorder treatment should continue thru the end of the winter season until the time when you usually spontaneously feel better. If the light therapy is discontinued too soon your depression may return within 1-2 weeks. In addition to seasonal affective disorder, light therapy can be helpful for non-seasonal depression. 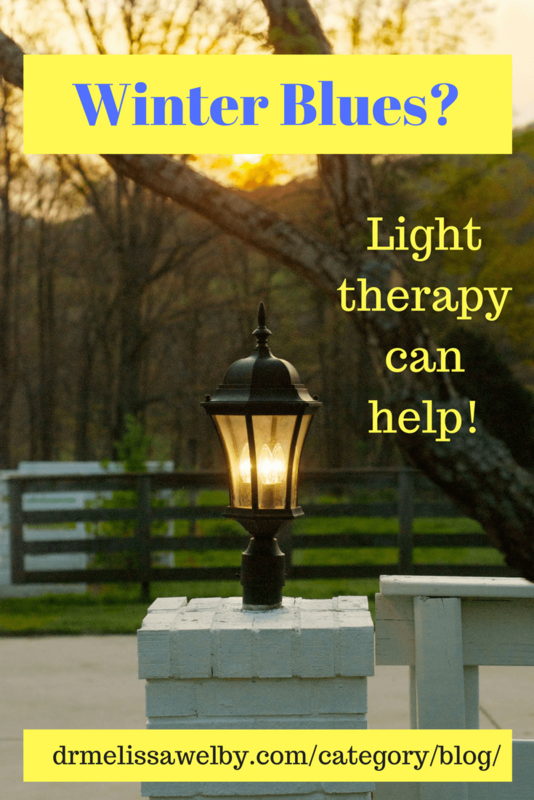 Light can be used as an adjunct or alternative to antidepressant medications. Light therapy can also treat certain sleep disorders related to alterations in circadian rhythm patterns such as happens in advanced sleep phase syndrome (fall asleep early and wake early in the morning) and delayed sleep phase syndrome (fall asleep late and difficulty waking during the day). Bright light therapy can help reset the “sleep clock” and allow sleep patterns to become more normalized. Lights for Seasonal Affective Disorder is a great option for people who experience seasonal dips in their mood. Many people would like to avoid antidepressants and this is a great alternative to try. One key is to remember to start it at the right time each year. It takes 1-3 weeks for an effect so pick a date prior to when your depression usually starts. Put a reminder on your calendar or pick a holiday like Labor Day as your yearly start date so you don’t forget. Worried about having side effects on an antidepressant? Want to know what to expect when starting one? Signup here to go right to the link! I was very happy to discover this site. I wanted to thank you for your time due to this fantastic read!! saved to fav to check out new things on your site.